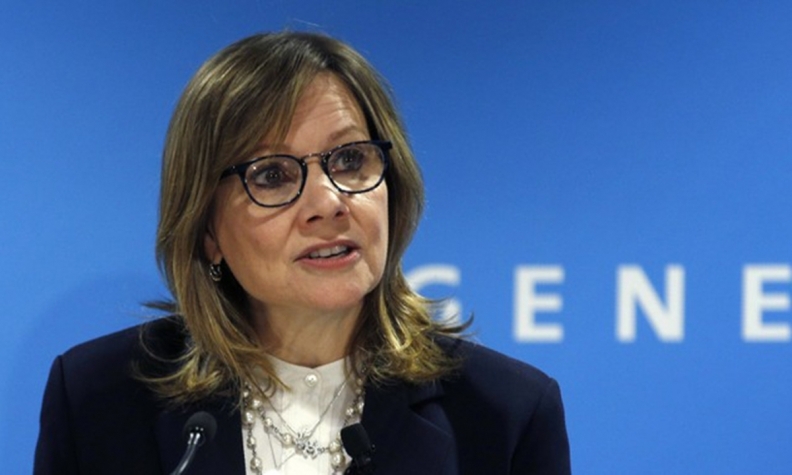 GM CEO Mary Barra on the company's restructuring plan: "This industry is changing very rapidly. We want to make sure we're well-positioned. We think it's appropriate to do it while company is strong and the economy is strong." DETROIT — What's good for America hasn't been so good for General Motors. With gasoline prices falling and new electric cars beckoning, consumers are abandoning the conventional sedans that have defined the U.S. auto industry since the days of Henry Ford. Scarred by a financial crisis a decade ago, GM is moving unusually fast this time to reckon with the new reality. News Monday that GM would cut more than 14,000 jobs and, like Ford Motor Co., pull back from conventional sedans sent the company's shares up 4.8 per cent and lifted other automaker stocks. The largest U.S. automaker may cut up to seven plants — five in North America and two unidentified plants elsewhere — and is eliminating unpopular sedan models during a time when auto sales remain brisk, a sign that CEO Mary Barra is making changes now before an economic downturn forces her hand. "In the past, GM management didn't react as quickly — they went through a sort of slow-speed crash that culminated in 2009 bankruptcy, and that's a lesson that was hard-learned," said Maryann Keller, an independent auto analyst in Stamford, Conn., who's written several books about the company. "This is a cyclical, highly competitive, slow-growing business. You can't continue producing unprofitable vehicles, especially when you're making crazy investments in mobility service business with no potential for profit in the foreseeable future." Barra, GM lifer, is dealing with two challenges. The first is of the present: American consumers are snubbing sedans like never before. The second concerns the future: Doubts abound that GM and other century-old industrial giants will be able to cope with the rise of electric cars and self-driving technology, especially with the likes of Tesla Inc. and tech giants such as Waymo perceived to be on the forefront. While the U.S. auto market is past its peak reached in 2016, automakers are still on track to sell more than 17 million vehicles for a fourth consecutive year. The longest such run in the past was a two-year stretch that ended in 2001. In the six years that followed, sales stayed steady above 16 million. This time around, changes in buyer behavior could cost GM car plants in Michigan, Ohio and Ontario their future. Sedans have gone from more than half of U.S. sales as recently as 2012 to just about 30 percent of the market this year. Crossovers, SUVs and pickups are more dominant than ever in showrooms, spurring GM to join Ford and Fiat Chrysler Automobiles to kill off many of the cars in its lineup. On top of this, Barra is plowing money into GM Cruise LLC — the unit developing the automaker's self-driving technology — and is developing 20 fully electric cars to sell globally starting in 2023. Both of those pursuits are going to require tens of billions of dollars in spending over the next decade to keep up with rivals including Volkswagen AG. "This industry is changing very rapidly," Barra told reporters Monday in Detroit. "We want to make sure we're well-positioned. We think it's appropriate to do it while company is strong and the economy is strong." Barra is convinced enough of the need for GM to slim down that she was willing to risk immediate political backlash from President Donald Trump and Canadian Prime Minister Justin Trudeau. Trump told reporters he spoke to Barra and reminded her "this country has done a lot for General Motors." He said there's a "lot of pressure on them" and that he's pushing for GM to bring new products to Ohio, whose Lordstown plant is one of five scheduled to close in North America. During the financial crisis a decade ago, the U.S. Treasury Department kept GM alive by investing $49.5 billion (all figures USD) in both equity and debt, giving the automaker the only financing available to get through bankruptcy. After GM went public and paid off the debt portion of the investment, taxpayers lost more than $10 billion in total. GM emerged from bankruptcy in 2009. Four factories in the U.S. and one in Canada could be shuttered by the end of 2019 if the automaker and its unions don't come up with an agreement to allocate more work to those facilities. Another two will close outside North America. "GM has to make sure that the crisis doesn't happen again," said Ron Harbour, senior partner with consulting firm Oliver Wyman. "They want to make sure they are out front." The plan to lop 15 percent of salaried workers follows a round of buyouts that GM offered to longer-tenured workforce at the end of October. GM said the cuts will boost automotive free cash flow by $6 billion by the end of 2020. The company flagged one-time charges of up to $3.8 billion for the fourth quarter of this year and first quarter of 2019. GM plans to jettison the Buick LaCrosse, Chevrolet Impala and Cadillac CT6 sedans next year. The Chevy Volt plug-in hybrid will also be dropped along with the Chevy Cruze compact, which will be made in Mexico for other markets. Too many of GM's factories are operating on a single shift to build models that have fallen out of favor, leading its plants to run about 1 million vehicles short of their full capacity, said Kristin Dziczek, vice president of industry, labor and economics for the Center for Automotive Research in Ann Arbor, Mich.